An active sentence like I drank two cups of coffee has the subject first (the person or thing that does the verb), followed by the verb, and finally the object (the person or thing that the action happens to). So, in this example, the subject is 'I', the verb is 'drank' and the object is 'two cups of coffee'. Two cups of coffee were drunk (we can add 'by me' if we want, but it isn't necessary). 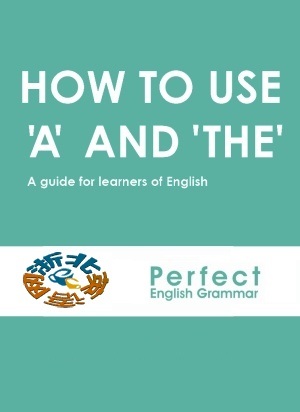 We make the passive by putting the verb 'to be' into whatever tense we need and then adding the past participle. For regular verbs, we make the past participle by adding 'ed' to the infinitive. So play becomes played. Click here to learn about irregular verbs. present simple I make a cake. A cake is made (by me). present continuous I am making a cake. A cake is being made (by me). past simple I made a cake. A cake was made (by me). past continuous I was making a cake. A cake was being made (by me). present perfect I have made a cake. A cake has been made (by me). pres. perf. continuous I have been making a cake. A cake has been being made (by me). past perfect I had made a cake. A cake had been made (by me). future simple I will make a cake. A cake will be made (by me). future perfect I will have made a cake. A cake will have been made (by me). Active: He gave me the book / He gave the book to me. You can choose either of the two objects to be the subject of the passive sentence. Passive: I was given the book (by him)/ The book was given to me (by him). When should we use the Passive? My bike has been stolen (unknown agent). The road is being repaired (unimportant agent). The form can be obtained from the post office (people in general). The chemical is placed in a test tube and the data entered into the computer. The brochure will be finished next month.